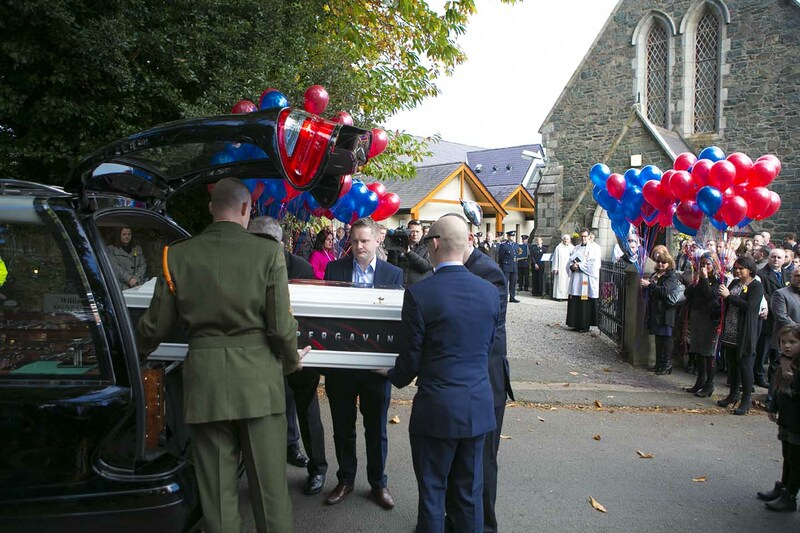 The funeral of little hero 4 year-old Gavin Glynn has taken place. A guard of honour took place all along the route from his home in Kilcoole to St’Patrick’s church in Greystones. 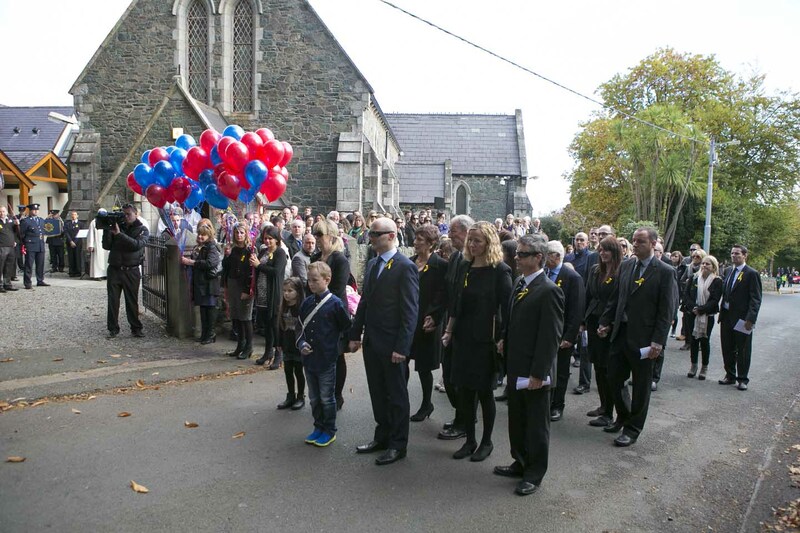 The village of Kilcoole was bedecked in yellow ribbons. On arrival at St.Patrick’s church members of the Garda band of which Gavin was a honorary member played the Superman theme as the little coffin with the Superman logo was carried to the church door. Rector of Greystones Rev. David Mungavin welcomed the huge congregation who said the world was standing still today as the community gave thanks for little Gavin’s short but very eventful life.